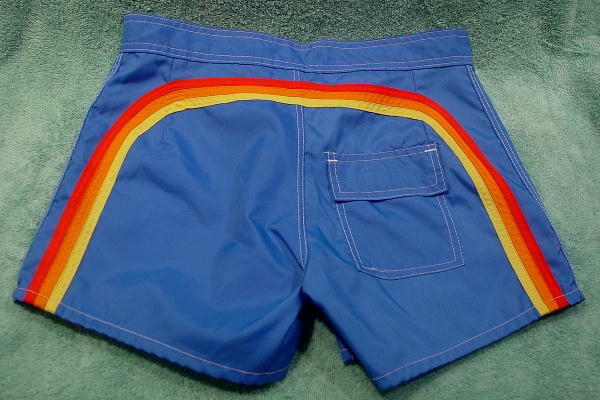 These synthetic fabric shorts (which can be worn in the water) have a 3 3/4" long white velcro fly. 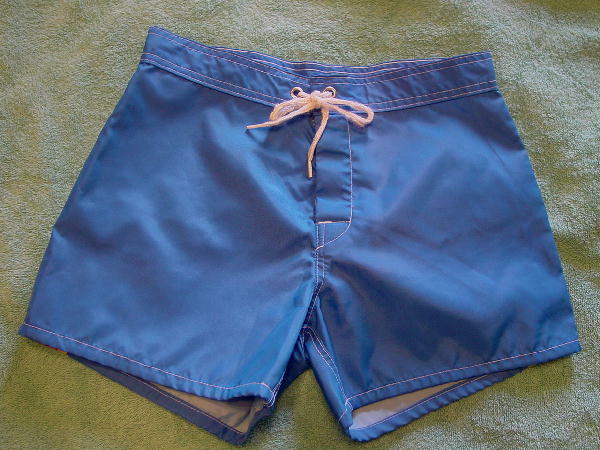 They have an exterior in a medium blue with a lining in a light blue fabric (the same fabric as the exterior). The 1 3/4" wide waistband has two silver-tone metal rivets with a white shoelace tie. The tie has snags from the velcro. The back has an arc design in red, orange, and yellow strips. The shorts have white accent stitching. They were worn in a photo shoot. waist to hem 11 3/4"